More dark mysteries of Allods Online have been revealed, and the undaunted warriors of Sarnaut must prepare to face the greatest challenges they have ever seen. 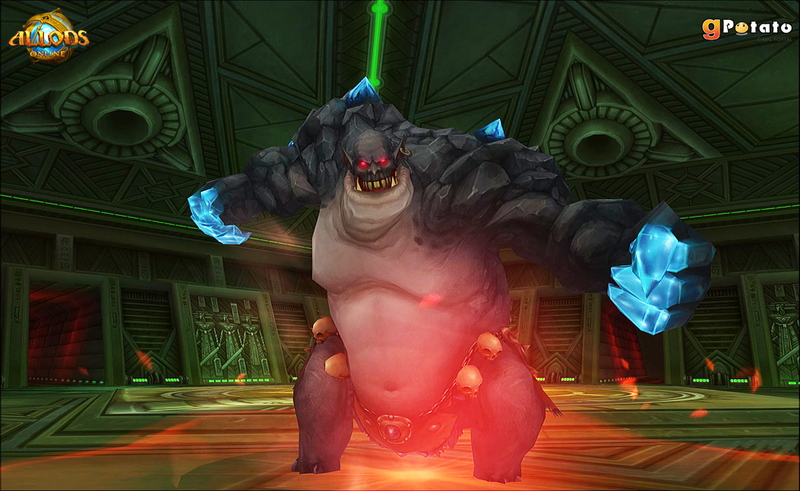 Set for release in both North America and Europe on October 11, Allods Online: Undaunted will bring new bosses, more Astral demons, and a harrowing survival mode set in the Great Mage Tep’s long-lost Mausoleum of Sparks. Deep in the Astral lies a place of dark legend, where the Great Mage Tep once trapped the souls of the noble Zem people and drained them of all energy and life to feed his evil experiments. Now the Director has seized the Mausoleum of Sparks for an experiment of his own, calling on the bravest warriors to venture deep into the sinister tomb and prove themselves against its ancient threats. Wave upon wave of enemies and elite bosses await, while the souls of Tep’s victims provide health, strength, and defense power-ups to fuel the ruthless warriors. Defeat the most enemies and survive the longest to win special honorary titles and heroic auras to lord over other players! The Astral has become a more dangerous place. A volcanic eruption shattered the once-peaceful allod now known as the Kingdom of Elements, releasing vicious elementals that only the highest level warriors can hope to defeat. Even areas that were once tamed have sprouted new challenges, with more bosses arriving everywhere from the Catacombs to the Heart of Fire and the Astral itself flooded with 4 new types of demon and a 20% higher encounter rate that will make ship travel more perilous – and exciting! All these additions to high level content will be supported by a refreshed new player experience and streamlined interface that make it easier than ever to take charge of the action. Learn more about these features and explore the world of Sarnaut at the official Allods websites for North America and Europe! Unless they fix their incredibly annoying movement system, I’m not even trying it again. From “Target too far” when you double click on an NPC instead of just moving automatically to MANUAL FIGHTING! And not as in the really cool and exciting Vindictus/DDO style. Just spam the 1 key over and over. Auto-targeting? Who needs it!? This is 1997 baby! Seriously characters wont even turn around if the enemy suddenly moves to their backs, you have to manually turn the dude around, or it will keep telling you that the target is not in front of you. These seem like little things, but they pile up quick. The only “polish” this game has is in the graphics, the rest is an outdated mess. ROM might have it’s problems, but an annoying interface isn’t one of them. This comment was meant for the VS section. Sorry for the jumble. Yeah, I’m the first…. but no comment.